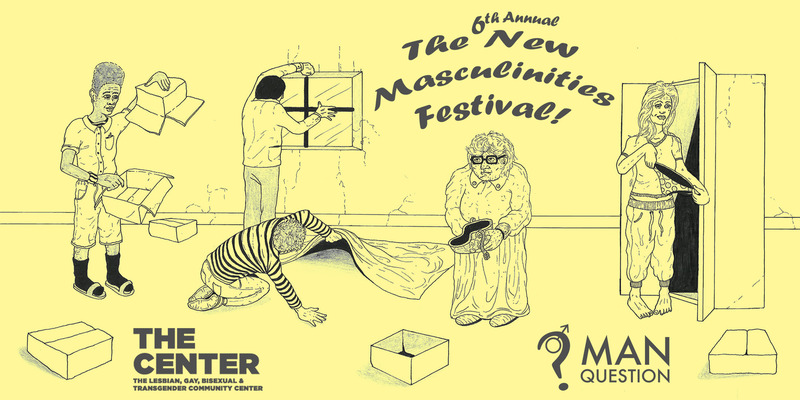 Man Question, an organization dedicated to combating toxic masculinity, is thrilled to announce it’s 6th annual New Masculinities Festival happening October 20th at the LGBT Center from 4-9pm. The show features theater, dance, performance art, and more exploring the impacts of the expectations of masculinity through these mediums. This year features a wide array of talented performers tackling this timely question, and beginning to move towards new possibilities for manhood. This year, there will also be a post-festival workshop giving performers and attendees an opportunity to dive deeper into topics brought up in the performances in a hands on way. Tickets are just $15/$20 and include healthy snacks and 5 hours of performances! (You can also just come for part of the day).